-The water in August was perfect. Spring runoff was finished, so the rapids weren’t too difficult for our newbie rafters, but was high enough for an adventurous day of paddling. Splashes that washed over the raft sides were chilly, but we expected that from a Colorado mountain river. Our 4 hour trip Whitewater Rafting Browns Canyon, Colorado was a fantastic first rafting experience as a family. 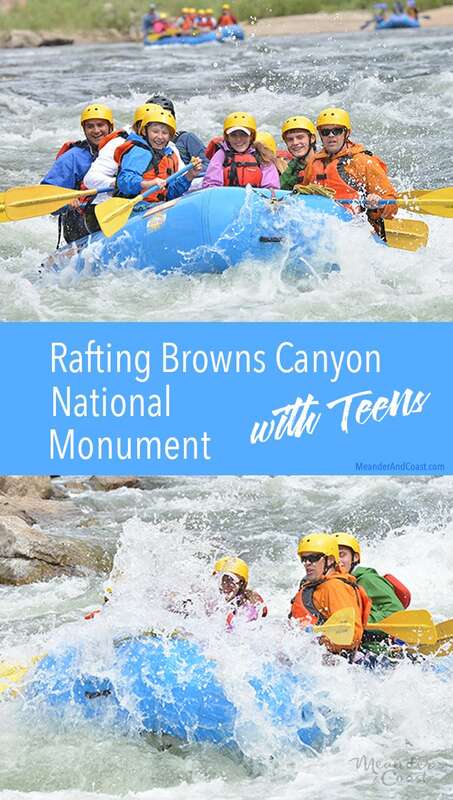 We knew our teens (and tween) were ready for whitewater rafting, so we planned their first trip during our time visiting Vail. The Drive to Browns Canyon is under 2 hours from Vail (2.5 hours from Denver), so it was an easy day trip from our condo. The first leg of our journey was a casual float downriver. Sean, our guide, ran us through the maneuvers we would be using for the day. The smooth flowing stretch of river was ideal for practicing our forward and backward paddling techniques for steering the raft. Sean pointed out special landmarks and features of the area as we went along. As we approached our first rapids, a solid class III and a great warmup for what would come later, I looked over at the kids. In the front of the raft, they were looking at the upcoming path with a mixture of excitement and trepidation. We entered on the right side of the river, following the flow of the water around the rocks. The right side of the raft paddled hard while the left side paddled backwards to turn the raft to the left. A quick reverse of paddling direction for both sides and we successfully navigated around a jutting boulder and out the bottom of the rapids. With a cheer, we lifted our paddles together in the air in a symbol of victory. I looked at the kids’ triumphant faces and knew this wouldn’t be our last rafting trip together. Paddles flashed and rafts twisted as our excursion made its way downriver through the rest of the rapids. A mixture of class III and “almost” IV, the intermediate difficulty was perfect for our teens and for us as well. It was a little chilly for swimming, so during the larger lulls between rapids our guides pulled out water blasters for the youngest in each raft while the others splashed water with their paddles in an epic water war between boats. After one final rapid with a pro photographer standing by and a last victory paddle salute, our journey ended and we floated the rest of the way to shore. Bring a camera. Either a water resistant point and shoot camera or a GoPro would be good options. We didn’t bring ours, and only have the professional photos. They’re great, but we would have loved some different perspectives and areas of the trip. Consider a full day. 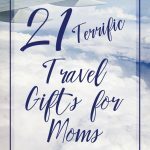 Our kids could have handled a full day trip. In fact, they were wishing for the full day before we were half way through our trip. It might not work in every situation, but they’re definitely capable at this age. Bring a Dry Bag. Next time, we’ll bring a small bag for water bottles. Ours didn’t stay wedged between the seats and the bottom of the raft, so they ended up bouncing around in the river water at the bottom of the boat. It was a minor annoyance during the trip, but something we don’t want to bother with next time. It would also be a good spot for any spare jackets that get removed mid-trip when the day gets warmer.